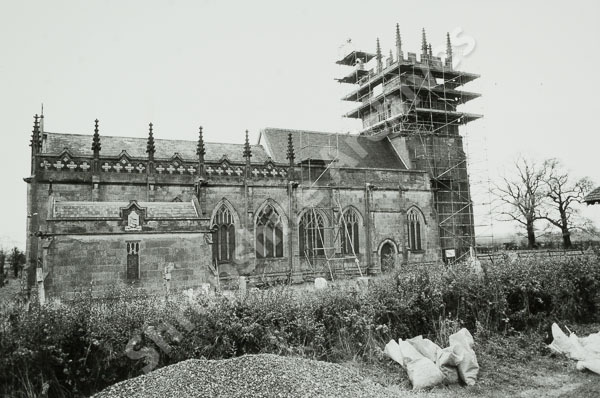 Description: Church viewed from the north undergoing repairs to tower and nave. 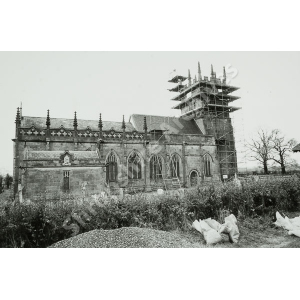 Conditions: Rights to any image linked to this record are reserved by Shropshire Archives, subject to any rights retained by third parties. These are acknowledged where known. Please contact Shropshire Archives if you have any further information concerning these rights, to request permission to use the image or to order a copy. You must have a reader account to view this record. If you don't have an account with us, please register. We also have further information about registering for a Reader Account at the Archive. If you already have a reader account you can order the record to be ready for you when you visit us or request a quote for a copy. Please sign in.